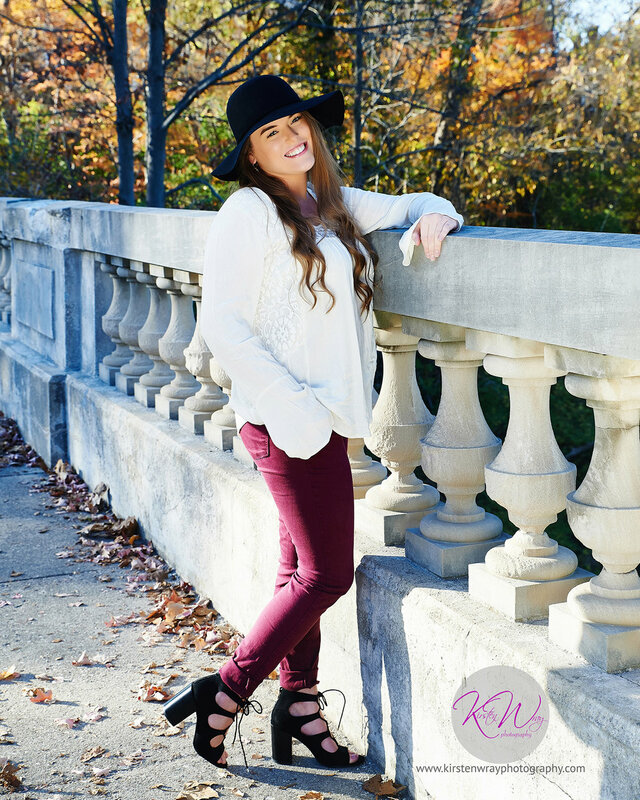 When you choose Kirsten Wray Photography for your senior photos, you are choosing an enjoyable experience from beginning to end. From booking your session through sharing your photos with friends & family, my aim is to create an experience that is all about you! Your portraits should capture the best in you & reflect your personality. That is why I will work with you to produce a final product that you love! When it comes to location choices, the options are endless. Nature/outdoorsy or urban/city-scape kind of individual? No problem, I've got it covered! What about in uniform at your school's athletic field, gymnasium, or pool? Easy peasy. Even if you are more of a bookworm & would prefer to be in your element at a library, I can make that happen! 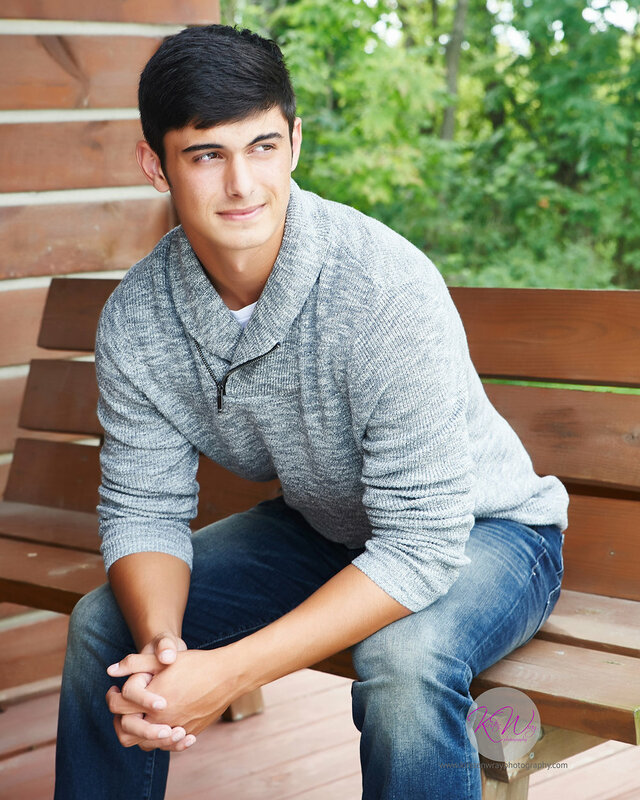 What matters most is that-after all is said and done-you walk away with photos that you are excited to share for #seniorsunday, hand out at graduation, or even look back on years from now. Book your session today & let's get started on creating that experience! Up to 3-hour session for you & up to 5 friends! Variety of individual & group photos. Print packages include all of your favorite photos printed at multiple sizes in varying quantities, depending on your package choice. Flash drives, custom-designed albums, canvases, and additional prints available separately! How would you describe your photography methods & style? I pride myself on being a fun, energetic individual. I am continuously investing time & energy into learning the best professional lighting & posing techniques to make you (and your photos!) look amazing. My shooting style is relaxed & lighthearted. We will have fun during your shoot, and won't be afraid to laugh! Of course, I am always open to your ideas--your pictures should be 100% perfect for you! I produce luxurious, bright & bold photos using top-of-the-line processing and printing techniques. Your photos will be timeless & last for years to come. Will you help me pick a location? My home office is located in Fishers, IN & I have photographed sessions all over the greater Indianapolis area. If you just aren't sure where to go, I look forward to discussing options with you! Will you help me with posing my photos? Most people aren't sure what to do once they are in front of a camera. That's why I will always have poses & tricks up my sleeve to bring out your natural personality & your unique qualities! Yes! Friends and even (gasp!) your mom make great lighting assistants and I can snap a few photos of you together at the end of your session! And now in 2017, you can book a friends' session that includes up to three hours of shooting for you and up to five friends! When it comes to senior photos, it's best not to overthink it too much. I recommend picking a style that reflects your personality. Try to avoid things like lots of pattern, neon colors, and ill-fitting clothing. Though they may look alright in real life, they tend to create visual harshness in photos. If you need style inspiration, >>Pinterest<< is overflowing with some great ideas for both girls and guys! It is always best to book your session as soon as possible. If you want a specific season (i.e. : fall or spring), make sure to reserve your spot before they all fill up! And always make sure you take them early enough (2-3 months in advance) if you want graduation announcements or prints to hand out at your party! There will be 2-3 weeks post-processing time on our end. You don't want to rush and get caught in a pinch! What happens if the weather is rainy or too cold? Not to worry! I will always reschedule sessions for rain or cold weather. I will keep in touch & let you know if your session needs rescheduled. Your photos will go through a multi-step process & re-touch that includes taking out any pesky pimples or stray fly-aways. It takes 2-3 weeks to get all of your photos to #flawless status. At that time, we will schedule an ordering session during which you (and a parent) will come in to the office to pick out your print package and any extras like an album or Social Media flash drive! We will also spend time looking through all of your photos and picking out your favorites to print. However, if you purchase a flash drive, you are free to take it home & send me your favorites later! If you ordered an album, fill out the form below & we will start designing a draft! With your approval, your high-quality, archival album will be on its way!